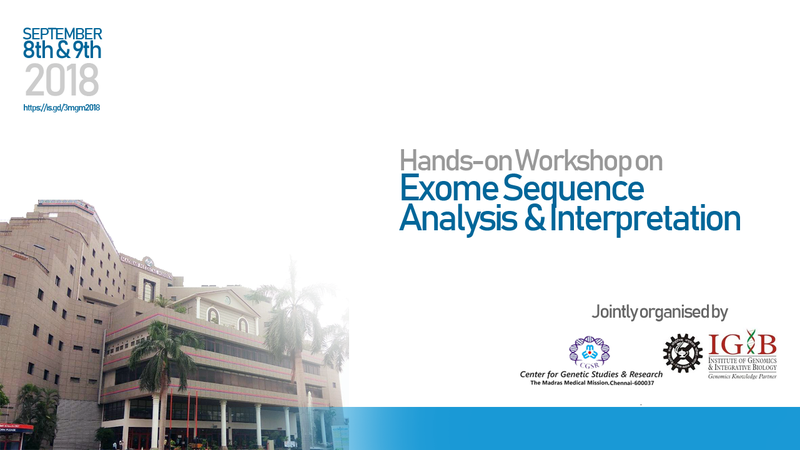 Two Day Hands on Workshop on Exome Sequence analysis and Interpretation. Only limited seats (for 20 participants) are available in the programme. Priority would be provided to young Faculty Members who have ongoing research using Exome Sequencing or who are keen in implementing Exome Sequencing in Clinical care in their respective departments. Realizing the importance and need of genetic services, The Madras Medical Mission has established a state-of-the-art Genetics Department with facilities of Diagnostic Clinical & Molecular Cytogenetics; Counselling; Training and Research division.